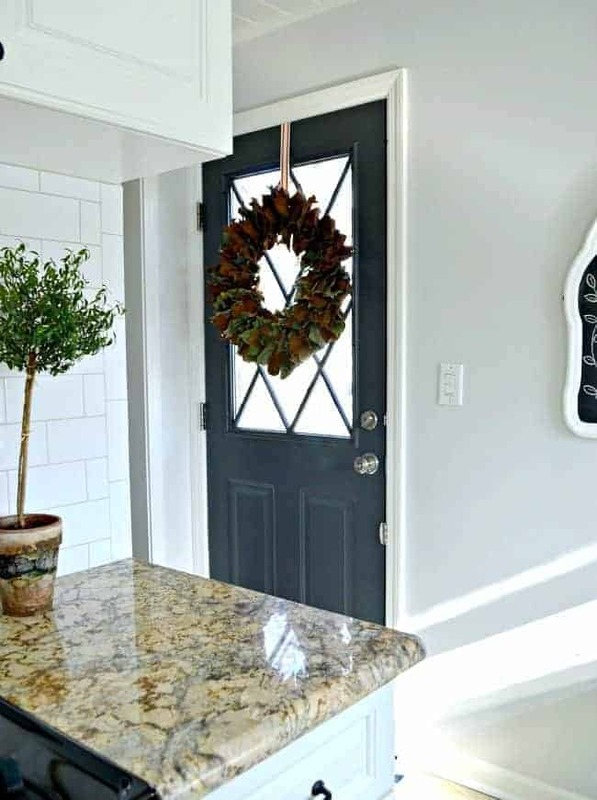 Before I share all of the kitchen remodel details, I want to take a moment to thank you for all of the sweet comments and emails from the reveal. I’ve always known that I had the best readers and you all proved it again and again during this whole process, by sharing words of encouragement and cheering us on when we felt like we would never get done. I am truly grateful. This is a long one so grab a cup of coffee and enjoy. If you make it through to the end you’ll find all of my sources and projects with links, along with an announcement. I shared the reveal a few days ago and only showed a few before shots and a lot of afters, so today I wanted to give you a quick summary of the projects that we did and try to answer some of the questions I’ve gotten. When we started the remodel on our small galley kitchen in January 2015, we had 3 main goals we wanted to accomplish. 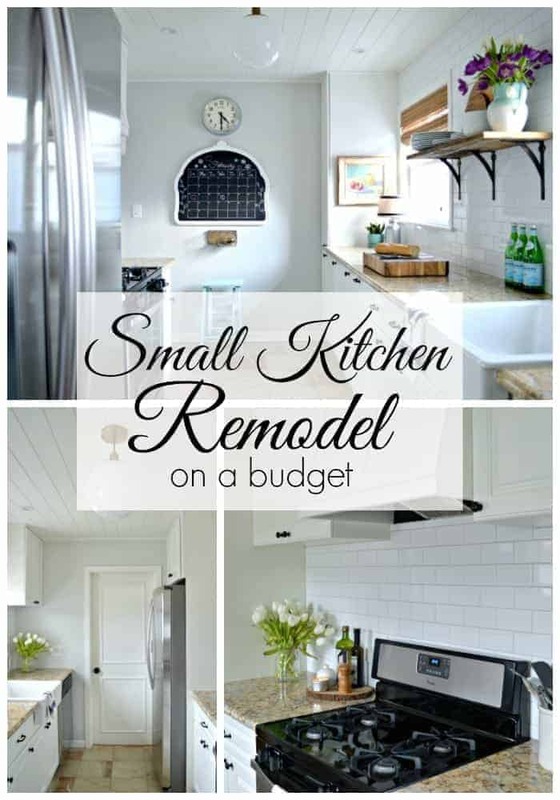 We wanted to lighten up the space, add more storage and do it all on a budget. Our plan was to complete everything in 6 months but…yeah, that didn’t happen. The project that started it all off was the removal of the two soffits. A messy and dirty job but it really opened the space up. After we patched the ceiling and walls, we installed a plank ceiling. A couple of coats of paint later and our first big project was complete. Wow, talk about changing a room. I love it! 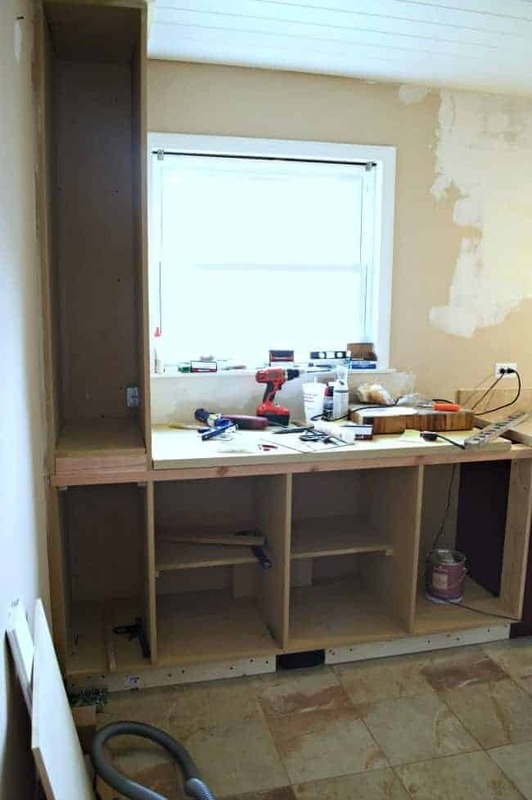 The next project to get tackled was the custom cabinet we built around the refrigerator. 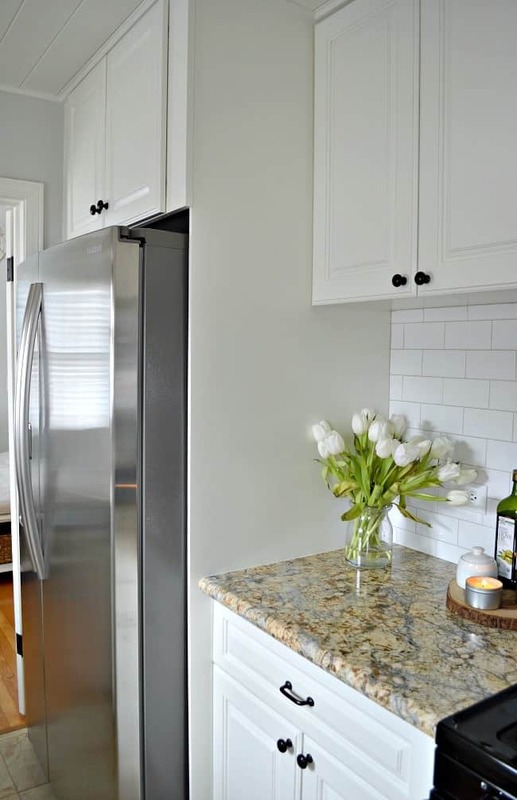 It added a ton of extra storage and toned down the look of the fridge (if that’s even possible when you have a large gray box in a small room). 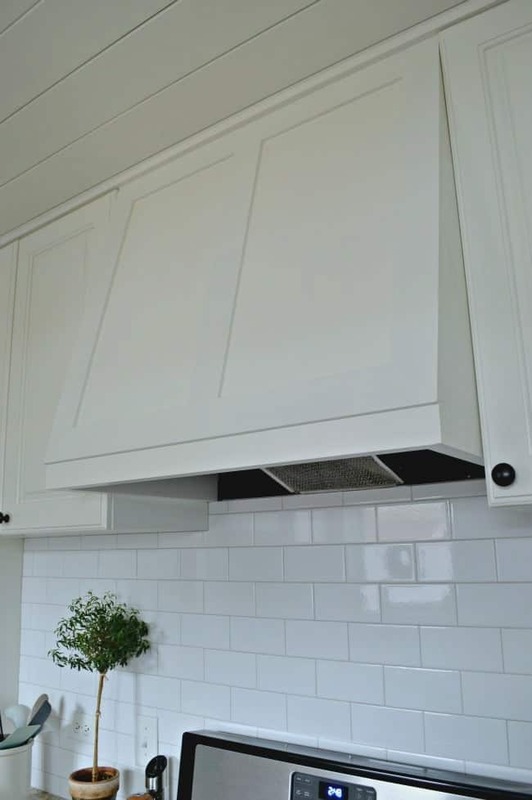 Once the fridge was done we worked on the DIY range hood. I wanted to change the small stainless steel one that was there, so we took it apart and used the insides to make our own custom hood. I think the one that we built is a much better fit in our new kitchen. The other side of the kitchen got some attention when we raised the window sill and built a custom cabinet that would give us more countertop space and more storage, which is what we needed most in here. 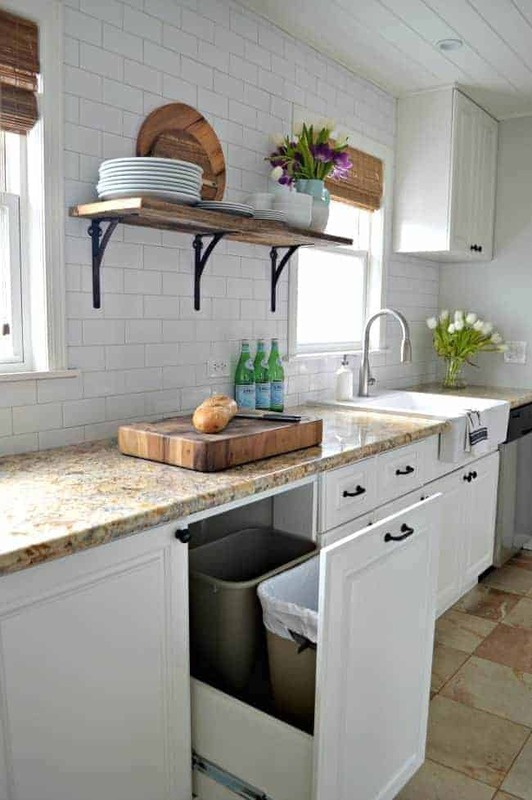 I had a few items on my “wish” list for the kitchen and built-in garbage/recycle bins was at the top. Now they are hidden away and I’m so happy with the way it turned out. While all of the cabinet building was going on, I was working on the one thing that made the biggest difference in this small space, painting all of the kitchen cabinets. If you’ve ever done this then you know that it’s a monumental task. I will admit that, because of my back injury, it took me almost a year to finish, but I did it. 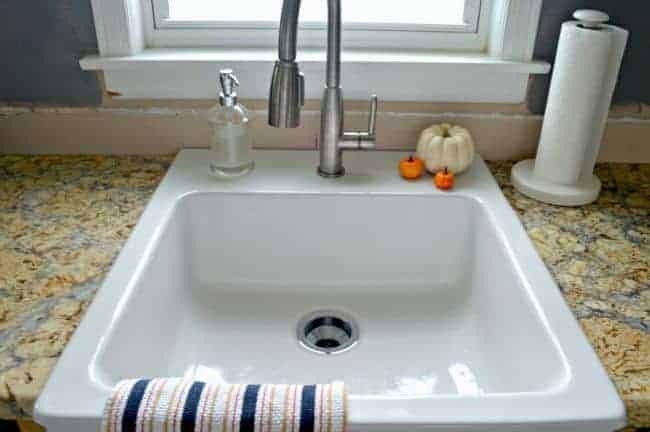 The kitchen sink was the next project. We had a double stainless steel sink before and I wanted a change so we went with the DOMSJÖ from IKEA. It’s just a single bowl but it’s nice and big to work in and I love it! 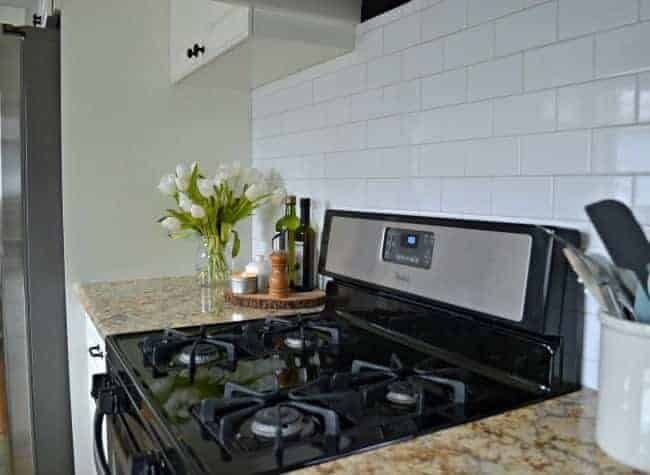 Once the sink was installed and all of the cabinets were built, it was time to choose tile and countertops. I always knew that we would have a subway backsplash but choosing the countertops was a more difficult decision. We finally decided on granite and began the most difficult project of the whole remodel, cutting and installing the granite. We were on a budget with this whole remodel so we chose to do it all on our own, a job we’ve never done before…ever. It took us two weekends to finish and it was nerve-wracking until the end. All we kept thinking about was all the money that would be wasted if we cut wrong or cracked it while working on it. 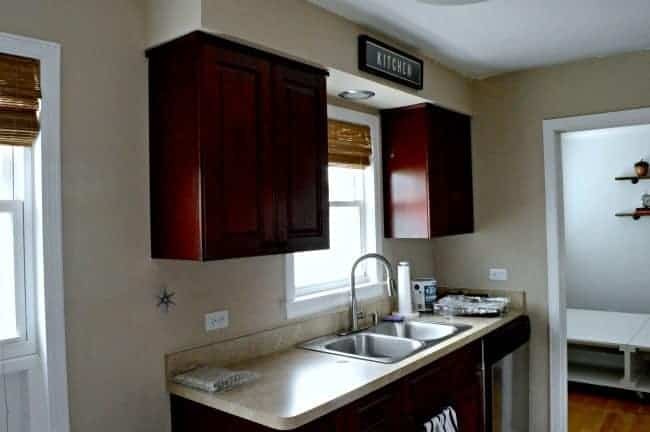 Thankfully it all worked out and we got beautiful countertops on a budget. 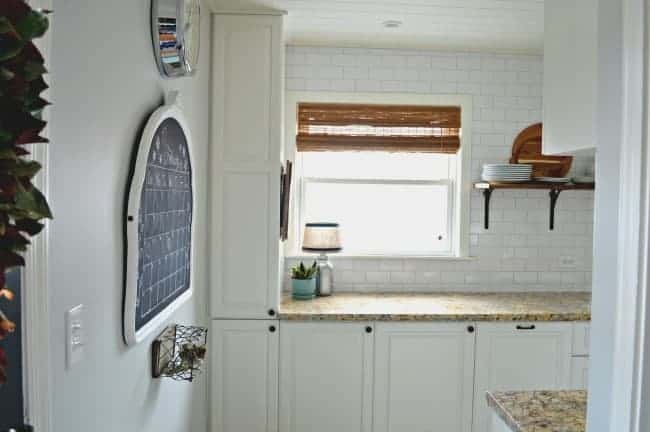 The subway tile backsplash with gray grout was next and, once it was all done, we knew that the end was in sight. One thing that we did that really opened the space was to remove a cabinet between the two windows on the sink wall. 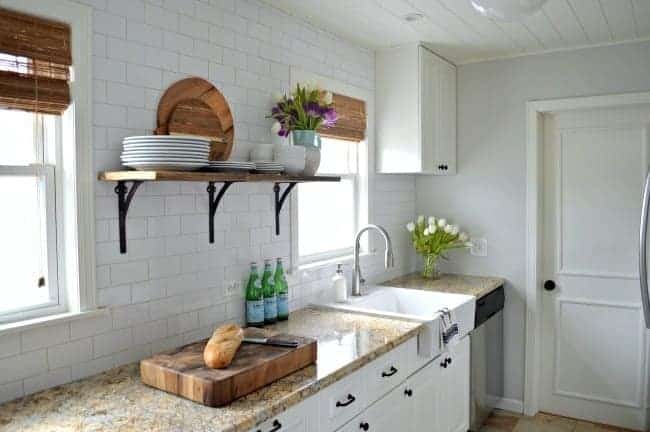 We added a barn wood shelf, for a little texture and to break up the white, subway tiled wall, and I think it may be my favorite thing in the kitchen. Because this is a small space there are only 2 walls that we can paint to add a little bit of color. After much debate, and a lot of swatches, I went with the same color I used in the adjoining living/dining area, BM Gray Owl at 50% strength. I also painted the back door a pretty dark gray, BM Wrought Iron. 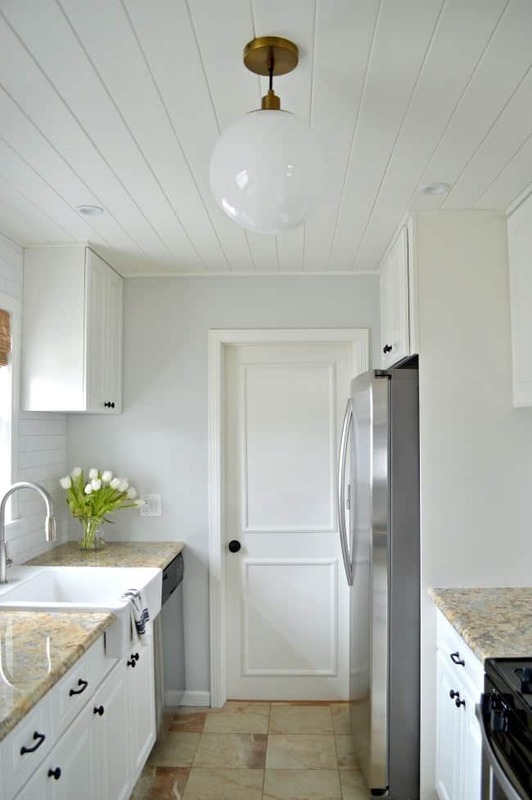 There’s a little gray in the countertops that I loved and the wall and door colors really bring it out. We still had a couple of big projects to finish though and one of them was lighting. 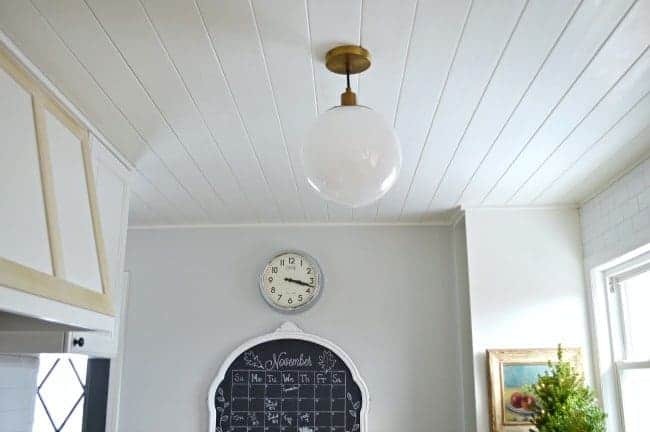 The only working light in the room before the remodel was a center ceiling light. It took me 3 tries to find the perfect one but, in the end, I found a beautiful pendant light. 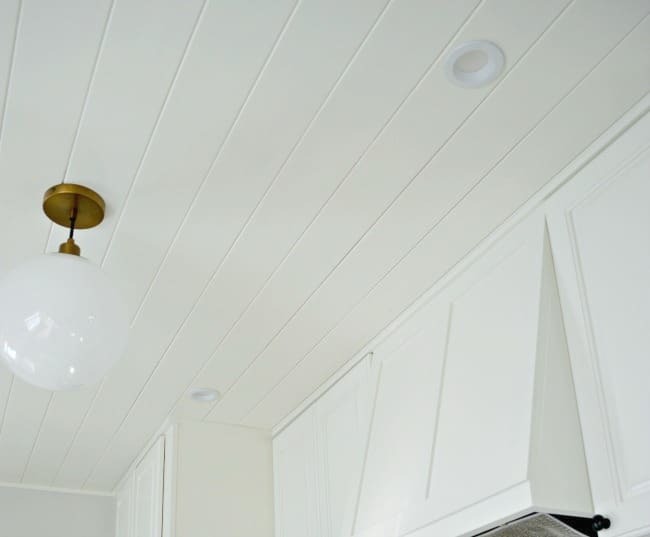 One pendant light was not enough for this space so we added recessed lighting. 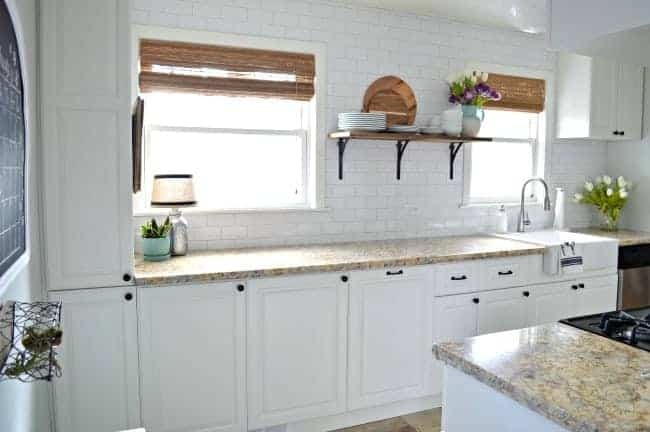 This project was the one that the hubs dreaded most, and kept putting off, but they really look great and made a huge difference, especially when we’re working in the kitchen at night. 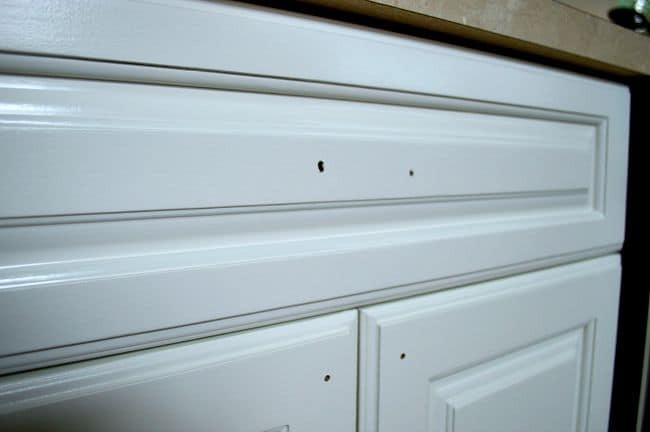 The final project was to add new cabinet doors to the custom cabinet we built on the sink side of the kitchen. Months ago we were lucky enough to find 2 similar cabinet doors, at the right size at a local ReStore, but we needed 3 more. We discussed making them but, by the time we bought the correct tools and wood to make them, we could order 3 already made and ready to paint. So we went the least expensive route and ordered them. Once they arrived I did a quick sanding, a coat of primer and 2 coats of paint and they were ready to hang. After 418 days and a ton of projects, our remodel is complete and I truly love it all! Phew, that took almost as long as the remodel did (almost). Thanks for sticking with me through this long post and the last 418 days of our remodel. If you have any questions about anything we did, feel free to email me or leave a comment. 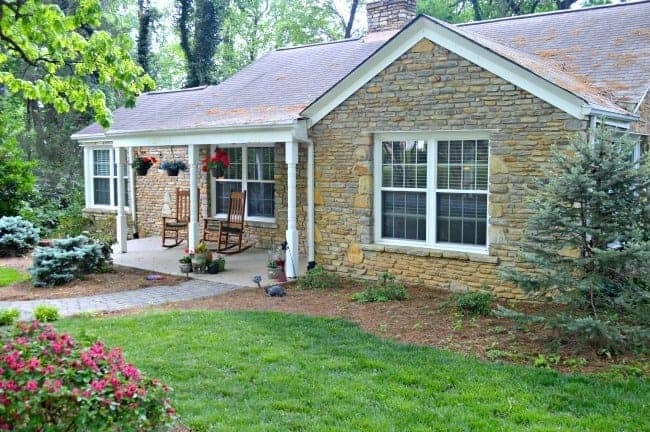 Two days after we finished the remodel we put the house on the market and sold it to move to North Carolina (totally unexpected). You can see our new house, with a video tour, here. *You can find my disclosure here. Hello. Your kitchen looks great. Clean and cozy. 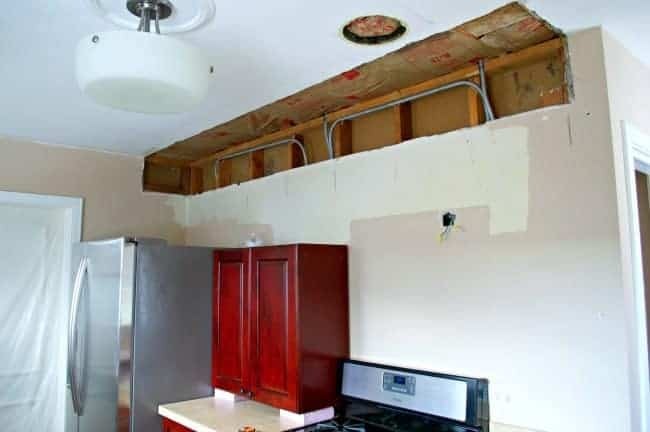 Your supply page says you used gray owl at 50% on your kitchen wall. Do you mean you mixed it with white (50/50) to lighten it a bit? Beautiful! Would you mind sharing your source for your window shades? Thanks! 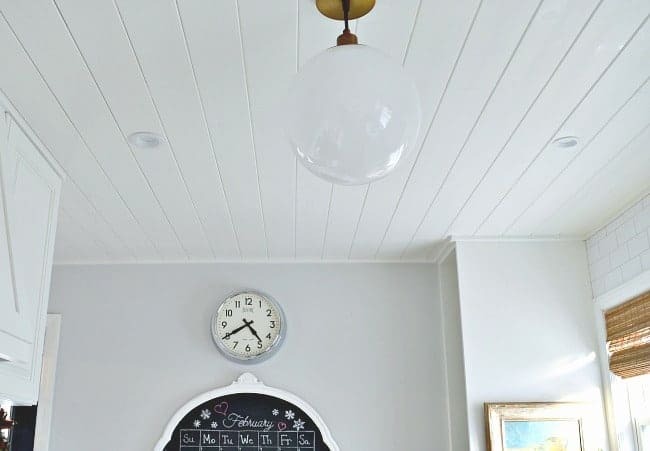 Do you have a post about your ceiling install? I am so impressed that you did your own granite! Your kitchen is just beautiful. I’m sure you are loving it. Love it, Katie! 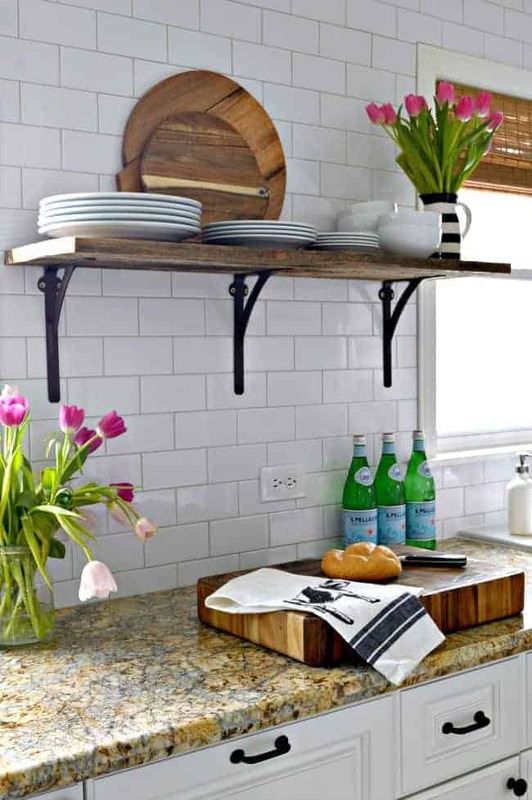 All those details are the ones that put this kitchen to the next level, it’s beautiful! Thanks so much Cristina, I appreciate it! 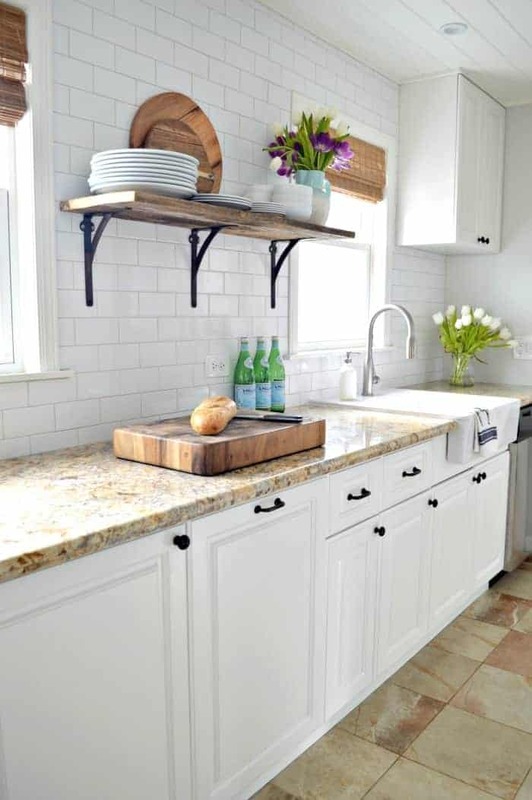 Kristi I have seen your fabulous kitchen all over blogland and it is just wonderful! I would love for you to share this gem of a post on Thoughts of Home on Thursday. Awww, thanks so much Laura. I appreciate it and I’ll be sure to hop over and check out your link party. What a wonderful transformation. The clean simplicity is lovely. Thanks so much Nancy. We actually do work well together and I’m so happy with everything we’ve done in our kitchen. Absolutely gorgeous! Congratulations! 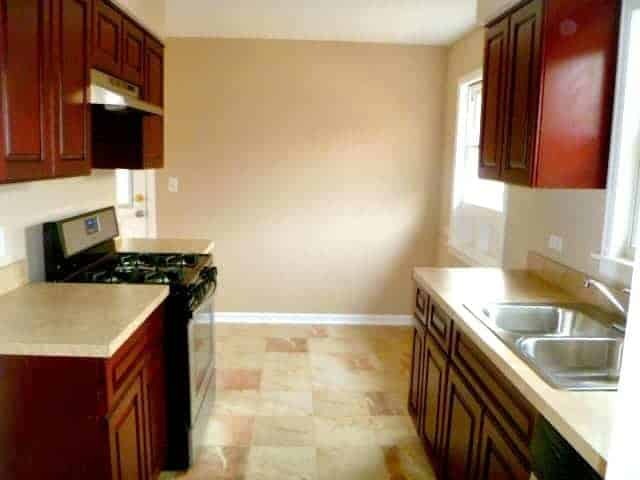 I would love to redo my kitchen! What an inspiration! Thanks for sharing. Great job. 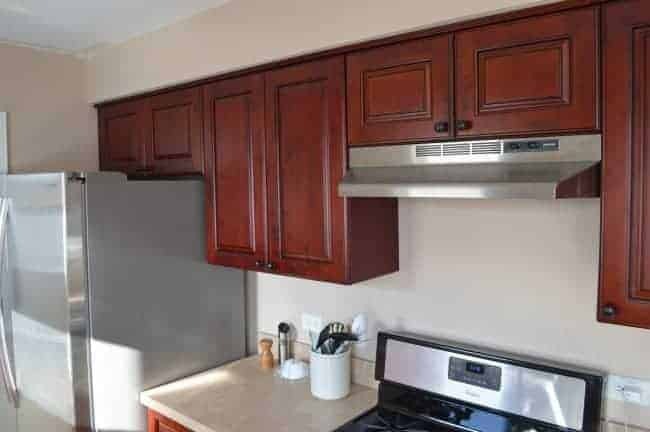 I see you used the BM Advance paint for your cabinets. Was it easy to apply..that is, did it glide on or did it set up quickly? Also, although I hear great thins about the paint, I hear it takes forever to cure. How did you find it? Thanks Melanie. I love BM Advance and have used it all over my house. I found it to be very easy to apply but it does take up to a week to cure. With that being said, I was able to sand and apply another coat the following day, it was dry to the touch. I love it because of the beautiful finish, almost like the finish of oil-based paint. You don’t see any brush marks and I love that. It did take me a little while to learn how to work it, you don’t want to spread it too thin or work it too much, but the finish is beautiful. Definitely worth the time and expense. Hope this helps. 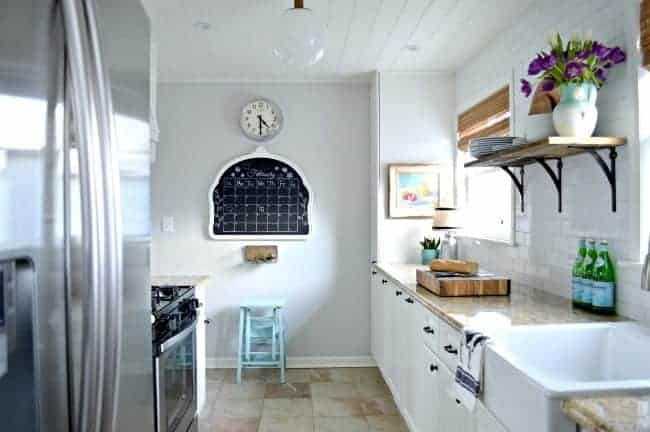 Your kitchen is just perfect Kristi – sweet, functional, with all the pretty details you can pack in this space! Great, great job! Thanks Vel! We are loving our new space and pinching ourselves every time we walk in. Awww, thanks Jessica! It was a lot of work but I really loved doing it (not that I want to rush right into another one, you understand) and we saved a ton of money so that’s always a plus. 😉 It’s been a very rewarding experience but now I have to find another one that lives up to it. Thanks, I appreciate it! It was one of the most difficult posts I’ve written but I wanted all of the info on one page so it could be reference quickly. I don’t know, maybe Monday’s post will be more difficult…we’ll see. Thought it was awesome at last week’s showing, but going through it entirely, seeing each step and the changes – well, it’s simply amazing. 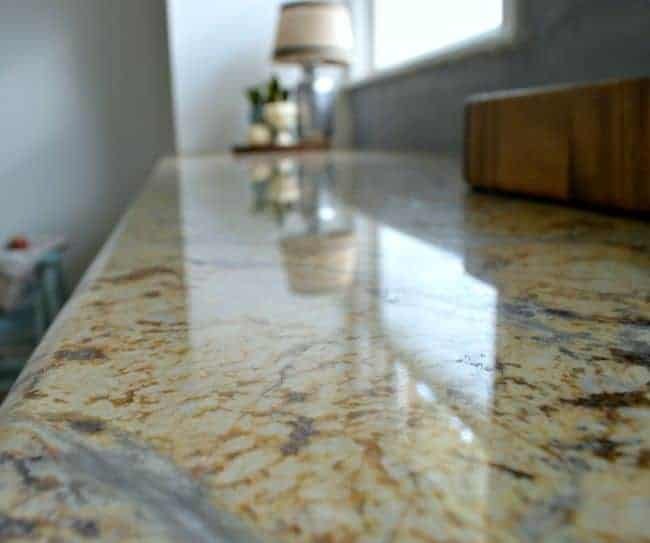 The granite you did yourself looks very professional – well done! Can’t wait to find out what you’re doing next. Kudos to you both! Thanks so much Margaret, I really appreciate it. I think that ignorance was bliss with the granite. If we had known how nerve-wracking it was going to be, I’m not sure we would have tried it. It did turn out well though. 😉 Happy weekend! Amazing that you did all of that yourselves. I really love the light fixture and the shelf between the Windows. Beautiful job!